Panther Crime was an imprint of Panther Books Ltd., an British publishing house that released mostly fiction novels during the 1950s and 1960s. Famous for science fiction titles from the likes of Ray Bradbury and Isaac Asimov, Panther chose the gritty realism of Chester Himes’ detective novels to kick off its Panther Crime imprint. 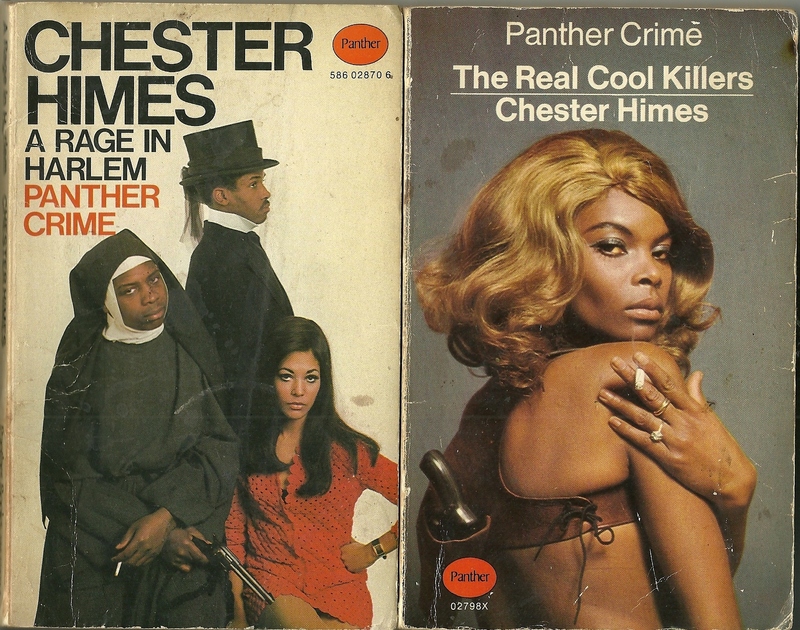 The paperbacks seen above were both released in Great Britain in 1969 and are typical of the Panther Crime’s use of surrealism with a subtle dose of gangsta. Taken out of the hard boiled 1950s and injected with late 60s “Black Mod” cool, the covers invite the reader to get lost in the world that Mr. Himes has constructed. A very welcome addition to my collection! The background subtly compliments young Mike’s sartorial color palette. You are currently browsing the Cured Sweet Potatoes blog archives for August, 2012.